Wears Valley is a beautiful ,open valley between Pigeon Forge and Townsend Tennessee. 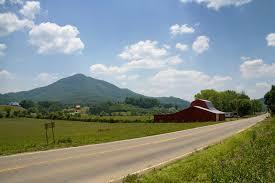 On one side it backs to the Great Smoky Mountain National Park and is a pleasant ride itself to the mountains. Many fine homes and cabins dot the scenery thru-out the valley and recently more commerce has been locating along the main road to and from . Because of what started to be an overbuilding of the ridges in this valley,the Sevier County zoning committee developed a "hillside restriction" that kept this beautiful valley from becoming an eyesore to future generations. Because of this you can still drive and enjoy the beautiful scenery. This is another poplar place to stay and live.